UPDATE: ACTA is a proposed multinational enforcement treaty. It has not been ratified by any country besides Japan, and has been rejected by the European Union. Therefore, we no longer consider ACTA a threat. But there's a new threat out there, the Trans-Pacific Partnership (TPP). Read more about TPP and take action! ACTA's official name is "Anti-Counterfeiting Trade Agreement", but the term "counterfeiting" in this context is a distortion of the word and a misrepresentation of the issues. Although the proposed treaty’s title might suggest that the agreement deals only with counterfeit physical goods (such as medicines), what little information has been made available publicly by negotiating governments about the content of the treaty makes it clear that it will have a far broader scope, and in particular, will deal with new tools targeting “Internet distribution and information technology”. It makes it more difficult to distribute free software: Without file sharing and P2P technologies like BitTorrent, distributing large amounts of free software becomes much harder, and more expensive. BitTorrent is a grassroots protocol that allows everyone to contribute to legally distributing free software. It will make it harder for users of free operating systems to play media: Consumers may no longer be able to buy media without DRM -- and DRMed media cannot be played with free software. 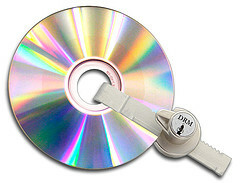 It increases the chances of getting your devices taken away: Portable media players that support free formats are less common than devices which support DRM, such as the iPod. Will this make them suspicious to border guards? It creates a culture of surveillance and suspicion, in which the freedom that is required to produce free software is seen as dangerous and threatening rather than creative, innovative, and exciting. Don't forget to also take action with the EFF! The Senate Judiciary Committee has approved the EIPA (the Enforcement of Intellectual Property Rights Act of 2008), which would create copyright cops.